This article was posted on 4th November 2015. We love nothing more on a chilly Autumn evening than a steaming hot bath with our fave oils, slipping on our cosy Pjs, snuggling under a wool blanket and enjoying a glass of red wine - all with the scent of a beautiful candle to transport our weary minds to another place. So, from the moment our senses caught wind of the transcendent scent of the True Grace collection we were in love. But, as always, when we find a good thing - we share! 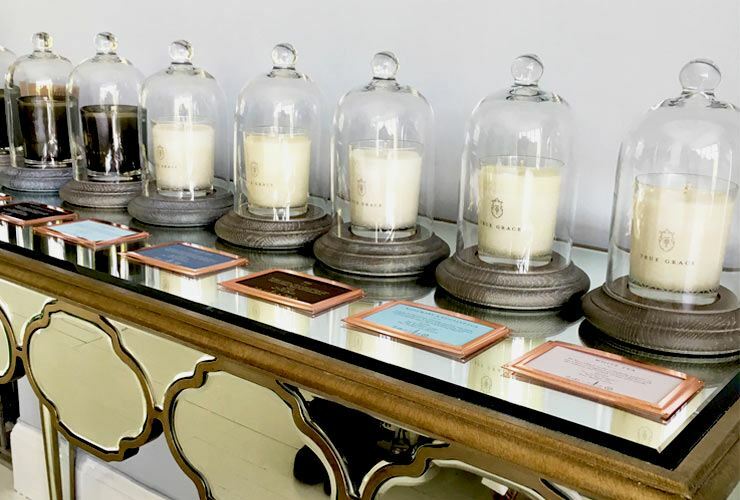 We've just launched our French Bedroom Company curated collection of True Grace Scented Candles; We've hand-selected the most nostalgic, romantic and all-encompassing scents to transform your bedroom into a spa-like country retreat. 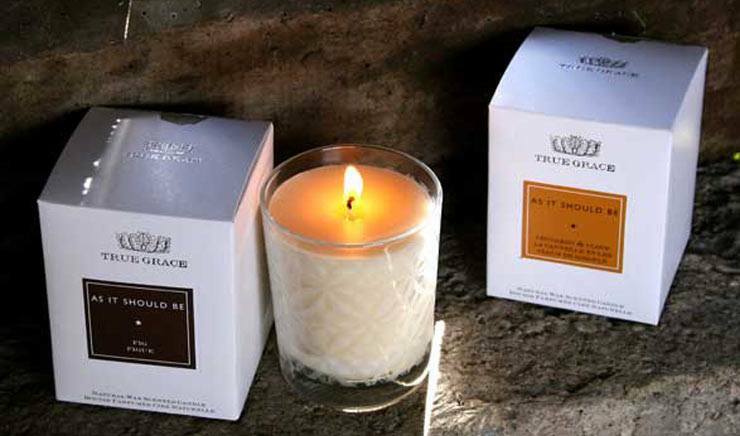 In 2003, Philippa & Roger Biles used their love of fine fragrances and their home in the English countryside as inspiration to create their very own range of scented candles; they named their collection True Grace to reflect the honesty and beauty at the heart of their company. Their aim: To create scents that evoke a place or feeling, taking inspiration from the surrounding British countryside. We love that True Grace is committed to local and sustainable production, making everything in their workshop in Wiltshire, they use only the finest ingredients, with the philosophy that everything they make is "as it should be". We've carefully chosen scents from The True Grace Village and Manor collections, each being inspired by differing emotions, places and memories. The Manor collection is inspired by the beautiful country house, its architecture, rooms and gardens. The fragrances that make up the collection are luxurious, unexpected and complex, evocative of a past time, perhaps never to return. The village is at the heart of rural life and this collection reflects many of the qualities we associate with the best of the British Countryside. Beautiful, memorable and honest. Bathroom: Fresh fragrances are best suited to the smallest room in the house. Seashore and Rosemary & Eucalyptus. Hallway: This is another place where you should play it safe with a fresh and welcoming fragrance. Sitting Room & Dining Room: This is the place where you can change the scent depending on the season and the mood you are trying to create. You could even burn more than one candle to create your own unique scent. Black Lily, Portabello Oud, English Garden and Fig. Kitchen: Fresh scents are best suited here as a way of trying to cut through food smells. Seashore, Fig, English Garden and Rosemary & Eucalyptus. Bedroom: Choose floral fragrances that have calming, soothing properties. Rose, Black Lily, White Tea, Jasmine Tea and English Garden. ~ We know it's tempting but, burn for no longer than 4 hours. ~ Here's a technical bit: First burn should be to the edge of the container to condition the candle and set the wax memory. Wax memory helps to ensure candles burn cleanly and stops the candle from tunnelling - no one wants that! ~ Depth of wax pool should be no deeper than 1.5cm to improve burn and the duration for the candles. ~ Wick should be trimmed to 0.5cm with a straight cut. ~ If the flame flickers or sputters extinguish the flame trim the wick and relight. ~ Trim the wicks to 0.5-1cm before each use.